Born: 2 Sep 1868 Harlösa, Skåne, Sweden. Emigration: 10 Jun 1886 from Malmö, Skåne, Sweden via Copenhagen, Denmark on a steamer with the White Star (Hvita Stjernan) line. Final destination: Minneapolis, Hennepin, Minnesota. Born: 10 Apr 1870 Östraby, Skåne, Sweden. Emigration: 5 May 1887 from Malmö, Skåne, Sweden via Copenhagen, Denmark on a steamer. Final destination; Minneapolis, Hennepin, Minnesota. I was hoping for some marriage records that hopefully record the parents name to be able to pin them down as the right Johnson. Immigration and census records that I have found often includes an age or estimated birth year which makes it hard to differentiate one Swedish Johnson from another. The following siblings also left for Minnesota but was supposed to arrive in Ramsey county or had no details of their destination other then "North America". Born: 14 Aug 1872 Östraby, Skåne, Sweden. Emigration: 5 Mar 1891 from Malmö, Skåne, Sweden on a steamer with "Ankar" line. Final destination: St. Paul, Ramsey, Minnesota. Born: 2 Apr 1874 Östraby, Skåne, Sweden. Born: 3 Mar 1879 Östraby, Skåne, Sweden. Emigration: Soon after 15 Jul 1898. Born: 22 Oct 1876 Östraby, Skåne, Sweden. Due to every other sibling having left for America it seems more than likely he did as well without informing the parish clerk about his plans. There was two brothers left behind in Sweden who was subsequently put in foster housing after the father died in 1893 and the mother was left to fend for herself. These two brothers was named Bror Martin Johansson born 1888 and my great grandfather Aron born 1891. Both of which got married and had children of their own. I would appreciate any help or advice on how to find reliable sources to find out what happened to my great uncles and aunts. I have tried Ellis Island records, census records with both Ancestry (back when I had a subscription) and with FamilySearch. I have also tried to find clues via Findagrave and Billiongraves. There has been some possibilities of matches but without enough details to confirm a match, so I am pretty much lost. I have Swedish ancestors that migrated from Hennepin to Iowa. I looked though and didn't see anything for yours in Iowa. You might try Illinois, Nebraska and Iowa too in your searches. Thank you for the links, I think starting in Minnesota is the best approach. I am a bit lost however in how to be able to pin down the right Johansson(s) my initial idea was to try and find a marriage record that fits.If I could just nail down one of the siblings perhaps I would have an easier time finding the others, there's a after all a pretty big likelyhood that at least one of all these siblings married, expecially since we had family visiting in the 70's that must have been a child or grandchild to one of these individuals. How likely is it that the (Swedish) parents would have been recorded on a marriage record? Does St Paul in particular have any sort of immigration records for this period? Since I know the date some of them left for St Paul, getting my hands on some immigration records for this city in particular could turn up some nice looking results. > How likely is it that the (Swedish) parents would have been recorded on a marriage record? Very, but the mother's name might be recorded as Elna Svenson or Elna Johannson or may be listed without one. Thanks for all your help. The marriage records that shows up as possible matches all so far only contains the name of the bride and groom. No indications of age, hometown or parents. I think they might be applications for a marriage license. The full marriage records might still be hiding in some dark archive somewhere. The naturalization link eventually took me to an Ancestry search where I had to sign up to look any further, I'm considering signing up with them to be able to crack this brick wall I've hit. Have you ever used Ancestry for your Swedish research? Would you recommend it? Thanks again for all your help. The search continues. Eh, I'm not fond of their "soundex"; it's never helped to find different spellings for me, but you could get lucky with hints from FamilyTrees? Also I cheated with my Swedes; my great-aunt made a tree a while back from what I'm sure what first person information. Otherwise I've had a heck of a time adding any cousins. I dived into my folder with lots of "might be useful" records and found three records I previously thought might be a match. But without any confirmation of their birth date, parents or when they immigrated or their hometowns in Sweden I haven't managed to confirm its the right persons. Any thoughts on this? Yeah that's the tough part. You kind of have to follow the paper trail with someone, assemble a portfolio and hope for a golden hint nugget to pop out somewhere. 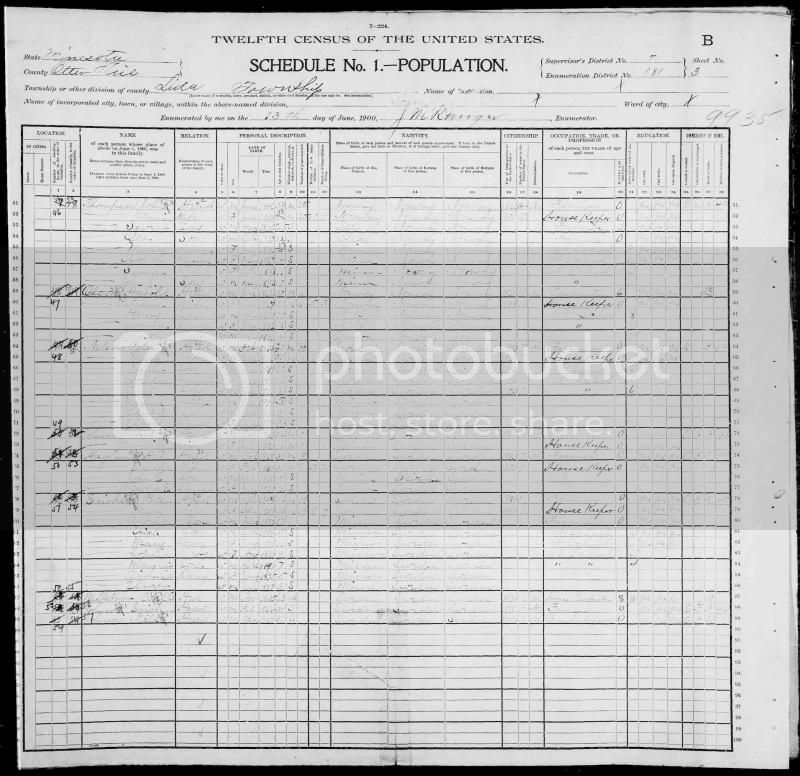 The last link on this page, called Research Checklist, has a printable checklist for American records http://www.mymcpl.org/genealogy/resources-genealogy-family-history Especially check for any document that might mention parents or an actual town of origin. Check neighbors on a census to see if they might be living near a sibling, especially soon after arrival. Try to find where they are buried and it might possible that the cemetery might have a record of parents, but don't pay for anything if you aren't sure. For the age group of the people you are looking for, the WWI draft record might be the best bet, as it'll tell you if they've been naturalized, meaning that there is a naturalization record for them somewhere, or if they were native born, ruling them out. It's also one record that should have a very close birth date to the person's actual birth date. +-5 years is an acceptable amount to be off in American records. Sometimes more. I got my hands on an Ancestry trial and was excited to see what could be uncovered now that I had some potential matches. Which seems like such a close match, birth year is off by only one year and arrival date by just a few months. Excited I contacted FamilySearch support for some sound advice on where I can find more info about this individual. They stated that they didn't think it was a match because the arrival date was not a perfect match, though further down in their answer they at the same time claimed that immigrants often forgot the exact time of arrival. I still have high hopes for this individual, but to my dissapointment (and half a night up at the computer) I could find aboslutely nothing useful to pinpoint these Johnsons down. I either end up with thousands of possible matches, most of which is just index records and I don't know where to find the record they are referring to. Or I narrow the search down just a little and there is absolutely no matches. I find plenty of possible matches in the cencuses but nothing that can confirm that they are the Johnsons I'm looking for. I spent some hours on Youtube watching how-to videos (Barefoot genealogist) on how to use Ancestry Search, but I find that most of those guides are only useful for those who already know where their relatives settled down and this is not the case for me. I know some of them was heading for Minneapolis and some for St. Paul but I can't seem to find any documents that could really pin down the right person. I have heard so much about Ancestry and its endless databases that bursts at the seems with records waiting to be uncovered, so my conclusion is that I am simply using their search tool wrong. If I find an interesting death record it refers me to an external sevice where I have to order the full record (and that without confirmation that it's the right person), and when I find potential matches in immigration they just tell me to use the reference number on the index cards to order a copy of the full record from the local archive. I was also hoping to find something on the Polish side of the tree, there was a potential Member Tree match to a gr. grandmother, stated her name and birth (just like mine) but when I went to check it out there wasn't even any dates on the "matched" record and the match was to a married name not a maiden name, hence someone that imo was no match at all. But they don't tell you any details until you sign up. So disappointing. Johnson is unfortunately common and can also have so many origins. Before subscribing to a database repository you might consider doing Autosomal DNA testing with one of the companies, 23&Me, FamilyTreeDNA or Ancestry.com, in the table here: http://www.isogg.org/wiki/Autosomal_DNA_testing_comparison_chart You can also upload the results to dnagedcom.com and gedmatch.com to get matches from the other two companies as well. I don't think the NatGeo test is really meant for finding cousins and I don't know what Chromo2 test is. I actually got a hit for a Swedish cousin and he's working on his side to see where my immigrants might match his, which is extremely helpful because I'm lost when it comes to Swedish records. The only catch is that one of your American cousins of this branch would have had to also been tested to get answers for this branch. I've gotten matches in my other immigrant lines too though, Scotland, England, Germany, Bohemia and matches for descendants of those lines in other countries, Canada for example. I have tested myself with 23andme 2 years ago and it has come up with a grand total of 0 connectable matches. Got close once with a Swedish descendant, I even found one of his family members and one of mine in the birth records right next to each other. But turns out that he had other family members tested that proved to him that we're connected on my Polish side not my Swedish one. The odds of that..? Even if by some 1 in a billion chance that these particular cousins have DNA tested themselces there's no guarantee that they have done so via 23andme, Ancestry DNA wont sell any tests to foreigners so thats a bust. I don't understand how you upload your results to other companies, even if I managed to figure it out, is that safe as far as data goes and what will this tell me? Well the more time goes by the more people get tested. Allegedly most people don't test with 23&Me to find cousins? It's free to cross post your existing results at gedmatch.com and dnagedcom.com. Both sites walk you through how to do it. As an aside, I found dnagedcom.com easier to use right off the bat; I found the Autosomal DNA Segment Analyzer pretty quickly and used it to start building the spreadsheet mentioned in my previous post. Gedmatch.com has a similar views of groups of matches but you have to donate for the Tier 1 tools to see it. As far as privacy, as an American I don't have that anymore but certainly don't expect a Hitler type of sitation any time soon. Kitty Cooper explains why it's not as scary as it sounds. http://blog.kittycooper.com/2014/09/the-worry-about-dna-privacy-and-gedmatch/ Also search the g2g with the tag "dna" to find a whole lot of discussion about it and maybe start a post with any questions you have. I've only had my results for a week or so and am new to it all. As an aside, I found more Swedish cousins who match me on a different chromosome than the aforementioned one. Oh I forgot, what it will show you. On FamilyTree, my Swedish cousin is the only one that matches me on that segment of DNA. Still the same on dnagedcom.com, just him at that segment. But when I look at that segment of chromosome on gedmatch.com, there are 5 more people. So that's 6 people that I can work with to see how we're related. It's closer to testing at all 3 companies but again requires the tester to have added their information to the sites. It appears that a lot of people do. Thanks for the suggestion, however since I have had bad experiences with handing over my credit card details to myheritage I am reluctant to do so unless I'm sure it's a match. It seems like a lot of these matches are Swedish sounding and managed by Swedish people which makes me doubtful that its who Im looking for, the names is as I mentioned really common. Had the birth place and death place been included and been a match I would have been more convinced.But thanks again for your time in looking it up. I found a match for Per Johansson with matches for those mentioned in your inquiry on Geni via a My Heritage search. (http://www.geni.com/people/Per-Johansson/6000000000166965124). Names and dates of birth are solid. The dates of death don't contain any specifics, so I'm not sure of the source for his/her information. Geni is free (of course the Pro version expands search parameters). You can get a free trial of Pro so you could register in "Basic" to search what is there, and if necessary do a quick search in Pro before being upgraded. You should also be able to contact the individual who created the files. Hope this helps! I sent him a message about it, hope he gets back soon!